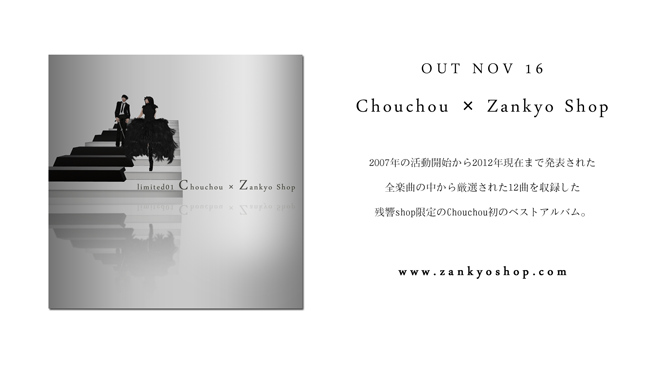 Chouchou official website is now open. We have released our first greatest hits album on Nov 16th. This release is only limited to Zankyo shop, the music store in Tokyo, Japan.